Dave Cooper is a resident of Lexington, Kentucky. After 20 years working as a mechanical engineer in various industries, most recently at the 3M plant in Kentucky that makes Post-it notes, he decided to devote his full attention to environmental issues after seeing a mountaintop removal mine on Kayford Mountain, West Virginia. He is a member of the Sierra Club and Mountain Justice, and worked for a year as a coalfield organizer for the Ohio Valley Environmental Coalition (OVEC). 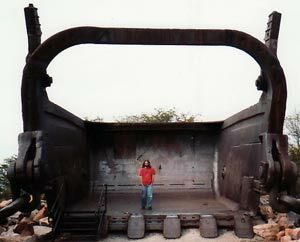 He is currently on a national speaking tour to educate communities across America about Mountaintop Removal. 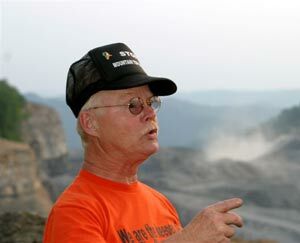 Larry Gibson, of Kayford Mountain, West Virginia has fought for over 15 years to save Kayford Mountain and his family cemetery on top of the mountain from mountaintop removal. His efforts to save the mountain have been chronicled by ABC's Nightline, 20/20, the BBC and the Australian Broadcasting Company, as well as in US News & World Report, the New York Times, Washington Post, Chicago Tribune and many more. 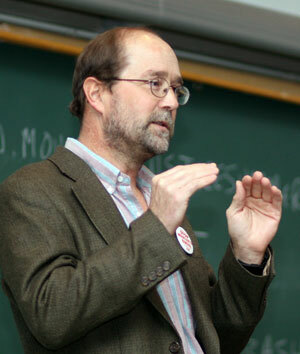 He has spoken at countless college campuses about mountaintop removal mining in West Virginia. He is President of the Stanley Heirs Foundation and works as a volunteer for the Ohio Valley Environmental Coalition in Huntington, West Virginia. Teri Blanton is past Chair of the citizens group Kentuckians for the Commonwealth. A survivor of a Superfund toxic waste site near her home in Harlan County, Kentucky, Teri's courageous stand against the abuses of coal companies has won her notoriety within her state. She is a powerful speaker against mountaintop removal. 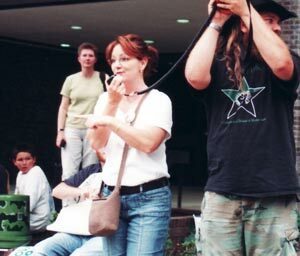 Eric Blevins, of Grand View, Tennessee, is a graduate of Middle Tennessee State University in Murfreesboro, where he worked with Students for Environmental Action on a successful campus clean energy campaign. He is a founding member of Tennessee Alumni and Students for Sustainable Campuses and has worked with Mountain Justice and United Mountain Defense in the fight against mountaintop removal. In 2010, Eric climbed a tall tree next to a Massey Energy mountaintop removal site in West Virginia, where he remained for 9 days, enduring constant harassment from coal company guards and the blasting of air horns. Eric is also available to give a Deep ecology workshop called "Deepening our Connections." Deepening Our Connections is a workshop linking the fields of deep ecology, ecofeminism, social ecology, environmental justice, and mysticism and showing how they can work together to fight oppression and move towards the collective liberation of all living beings. Integral theory is used in the workshop to show the importance of bringing different perspectives together. The workshop is very participatory, no prior knowledge of any of the subjects is required, and it can be done in 90 minutes but 2 hours is preferred..